Welcome to Jersey Chemicals, your one-stop shop for quality pool supplies in Paterson. 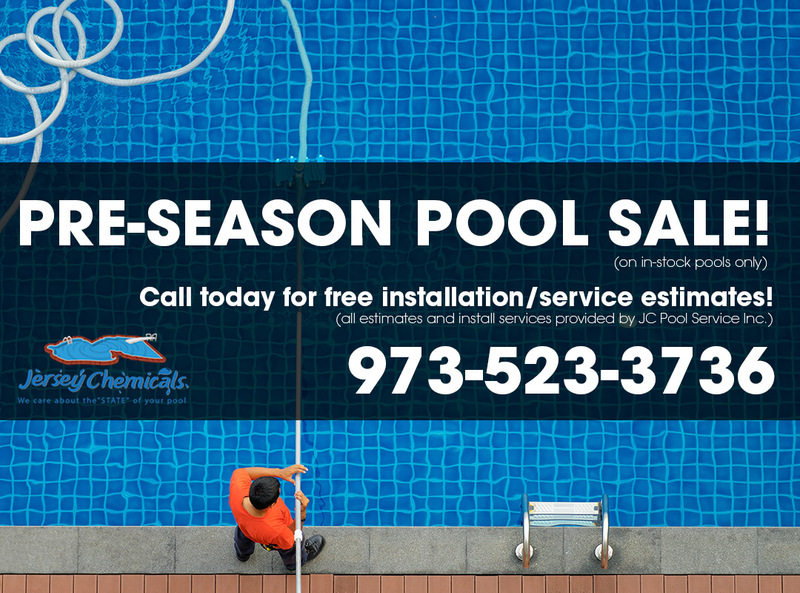 Our pool supply company caters to the needs of residential and commercial customers throughout New Jersey. From robotic cleaners and pool chemicals to heaters, pumps, parts, accessories, and equipment, our pool supply company offers every product you'll ever need to enjoy and care for your swimming pool or hot tub. You can also count on our sister company JC Pool Services Inc for quality pool maintenance service, renovations, refurbishments, and new swimming pool installation. They have been commissioned by both big and small business alike as well as individual clients to construct and maintain superior quality pools for a variety of environments. Our 55+ years of experience as a pool supply company has allowed us to gain extensive knowledge and expertise in water chemistry, equipment, and supplies for in-ground and above-ground pools. Even with all this experience, we still learn and grow every day. Our commitment to quality is as imprtant to us day as it was when we started in 1962! Because of our extensive experience as a pool supply company, we've learned all about the materials and products which are the very best. We only offer you the same quality of materials we love to use ourselves for our own backyard pools and hot tubs. Our staff is dedicated to providing you with the highest level of professional standards whether we are helping you choose pool supplies or installing your new swimming pool through our sister company, JC Pool Services Inc. We care about meeting the needs of each customer, and this shows in everything we do. Open 7 days a week for all of your pool supply needs!